Stream the full album below. To listen to individual songs, visit NPR Music. 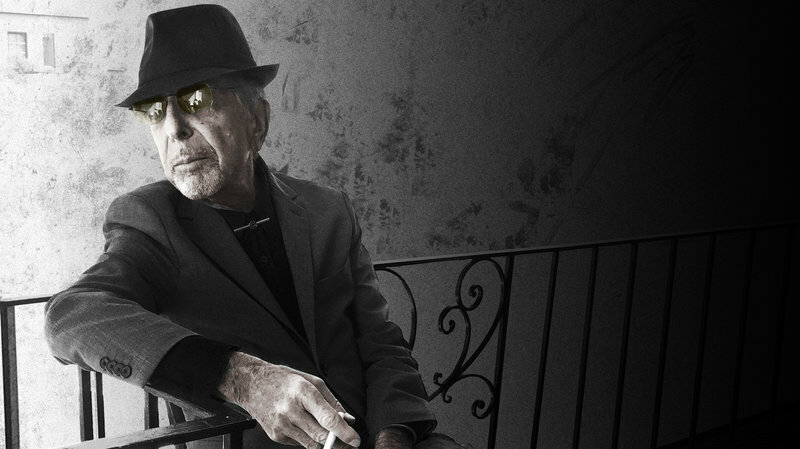 The first sound Leonard Cohen makes on his new album is a nanosecond's rush of labored air. It's not a wheeze, exactly, or a hiccup. But it's not a singer's note, either. The singing (such as it is) soon follows, and the 82-year-old's somber tone signals that matters of grave import are about to be discussed. He's making an inquiry into the peculiar strain of creeping soul distress, both personal and universal, that he's been diagnosing since at least 1992's The Future. He could, of course, be talking about organized religion. After all, there's a cantor and a cameo from a choir; it's certainly not the first time religion has been blamed for squelching the spark. At the same time, that phrase "We kill the flame" could just as easily be a slogan for a new business offering an escapism upgrade. Sepulchral of voice but steady of eye, Cohen devotes much of You Want It Darker to the metaphor of the fragile flame and the myriad ways it gets extinguished, from within and without. He's written on this before, but not quite this way: The nine songs are elegies. Sometimes wistful and sometimes angry, they're suffused with sad violin and small, brave string orchestrations. They unfold with a slow, stately, church-ritual order; when you're moving toward this thick dark, every step is measured. Cohen titled his last album Popular Problems, and there's nothing remotely popular about the ones he addresses here, which fall under the general heading "Confronting Mortality At Close Proximity." It's terrifying but also oddly tranquil; the fast-running clock has a way of clarifying what matters. Still, it's unsettling to hear this man who so eloquently mapped the terrain of lust and obsession say that he no longer has use for temptation. Plus, nearly everything that's brightening or uplifting about life is addressed in the past tense. Cohen mixes score-settling personal reflections with existential concerns — observations about the twisted forms fear can take, grumbles about the coarseness of current discourse, deep sighs over what he detects as a general erosion of empathy. Even when he's lamenting his own insensitivity (in "Treaty," he tells a former lover, "I'm sorry for that ghost I made you be"), he's often looking over his shoulder the way George Orwell did, wondering if some larger state or societal force is forcing him toward ghostness, too. Cohen certainly sounds like a ghost at times — or a sentry who's so devoted to his duty that he soldiers on past quitting time. There are multiple references to "leaving the table" or "exiting the game," and what's startling isn't the question of whether this is a formal stated farewell or the clear and beautiful detachment he brings to this present circumstance. He's doing what he's always done, describing what's in front of him and looking for layers of meaning in the shadows. He's doing it in riveting ways, with a quality of attention that comes only from inner calm and quiet — and healthy distance from modern maelstroms. Cohen isn't sugarcoating the news, and he's not relinquishing any of his grace. The flame may be nearly extinguished, but while it still flickers, it's the poet's charge to ennoble it as best he can.